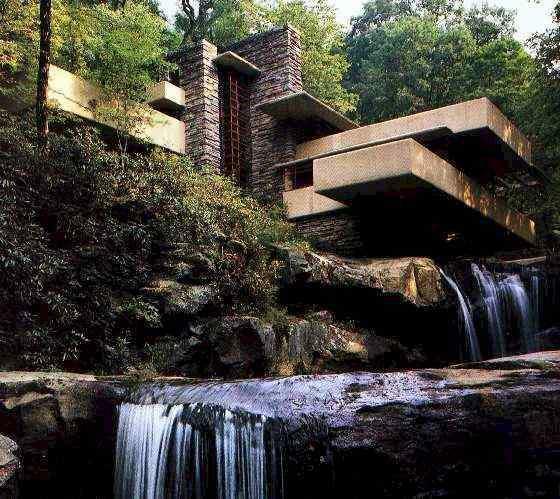 Falling Water is recognized as one of Wright's most acclaimed works, and in a 1991 poll of members of the American Institute of Architects, it was voted "the best all-time work of American architecture." It is a supreme example of Frank Lloyd Wright's concept of organic architecture, which promotes harmony between man and nature through design so well integrated with its site that buildings, furnishings, and surroundings become part of a unified, interrelated composition. Wright embraced modern technology to achieve this, designing spaces for living which expressed architecturally the expansive freedom of the American frontier.